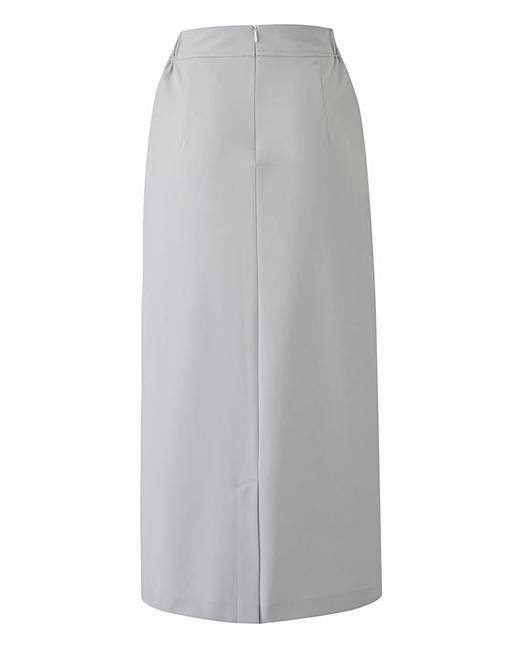 Tailored Maxi Pencil Skirt is rated 3.6 out of 5 by 33. 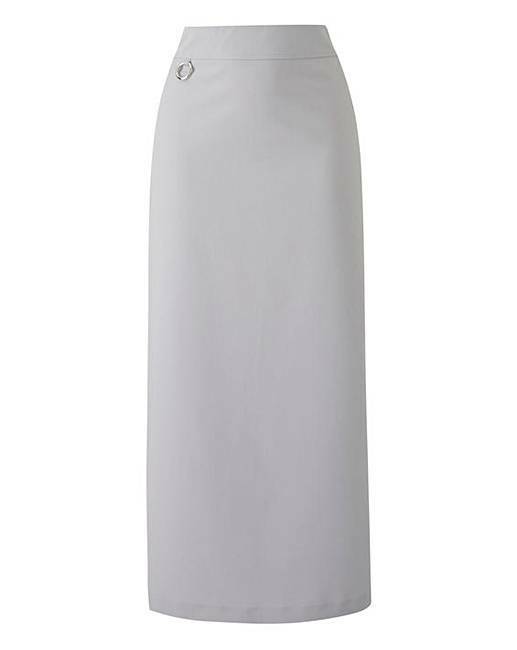 Add a touch of elegance to your wardrobe with this beautiful tailored maxi skirt. 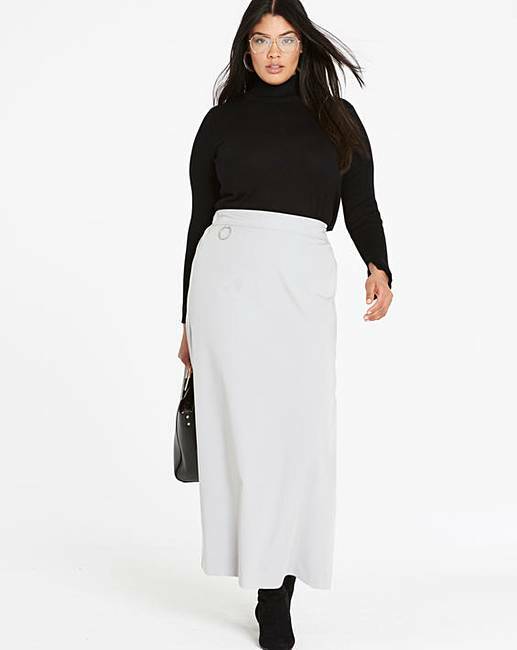 Made from a smart stretch fabric, this skirt promises to hug your curves and flatter your figure, meanwhile the side-back elasticated waist ensures optimum comfort and fit. 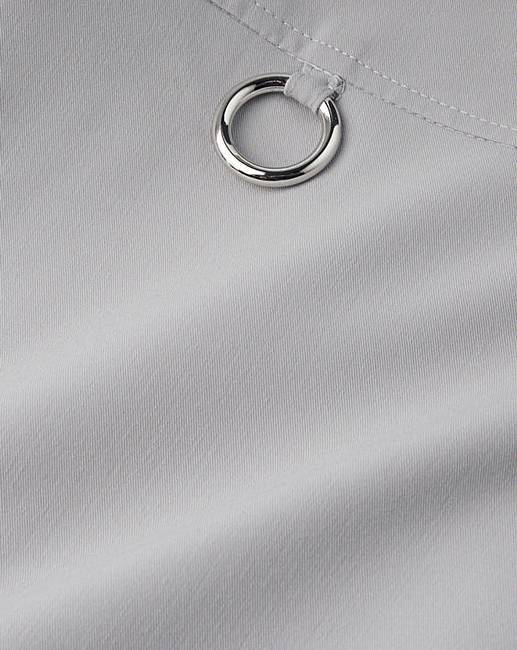 Available in three great colours, this skirt looks best when teamed with a crisp white blouse and some classic court shoes. With back split vent detail. Rated 5 out of 5 by Doris from Great fit Love this skirt. Looks and feels great. Bought a size up for comfort. Rated 2 out of 5 by Sharon from Cheap and cheerful Very thin material. Cut very narrow so you can't take a full step forward - no stretch in the fabric at all. Rated 1 out of 5 by Eve W from Awful Terrible fit! It's not lined so very clingy. I wouldn't recommend it. Rated 2 out of 5 by Yasmin from ZIP STUCK AT WAISTLINE I recently brought this skirt for myself and i loved it... However, I decided to buy a pair for my sister - only for it to arrive with the zip not working! I'm extremely disappointed as I was looking forward to suprising my sister as she loved my first pair just as much as I did. I was such a superfan of this skirt and I told everyone about it, which is disheartening now. So I would appreciate it if I could get this pair replaced, as soon as possible - as the zip is stuck at the waistline (as shown in the photos) which makes it totally unwearable.